Microsoft codenames are the codenames given by Microsoft to products it has in development, before these products are given the names by which they appear on store shelves. 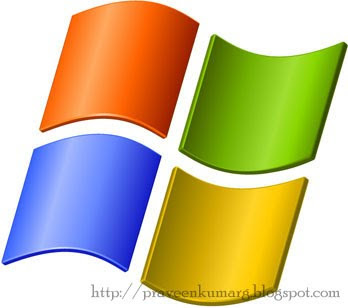 Many of these products (new versions of Windows in particular) are of major significance to the IT community, and so the terms are often widely used in discussions prior to the official release. Microsoft usually does not announce a final name until shortly before the product is publicly available. Windows 3.1, a successor to Windows 3.0 started the whole Windows series of OS’s. Released in March 1992. Windows For Workgroups 3.1 is an extension for Windows 3.1. The extension was mainly for sharing resources for people who did not have centralized authentication server. It would use Server Message Block protocols over NetBios. Windows 95 was the Windows OS to have a graphical user interface. It was a large progression from Window 3.1. Windows 95 was first released on August 24, 1995. “Windows 96” was never really released, it was simply a desktop update with Internet Explorer 4.0 included. Windows 98 was the successor to Windows 95. The code name was a clue to activate a easter egg! Windows 98 was released on 25 June 1998. Windows 2000 is a successor to NT 4.0, and was succeeded by Windows XP, first released February 17, 2000. Me stands for Millenium Edition, this is because was released in 2000, 14 September 2000 to be precise. It was shipped with Internet Explorer 5.5. It had the simular graphical user interface compared to most Windows 9X’s. XP is short for Experience, successor to both 2000 AND ME editions of Windows. Another big progression, Windows XP features new graphical user interface compared with Windows 9X editions. Windows XP was first released on October 25, 2001. The initial release was shipped with computers which had media center capabilities and could not be sold seperatly. The main feature is Media Center which allows you to do things like, view live TV, DVD playback. 2005 edition had capabilites with thw Xbox 360 and media center extender. Same as original XP with touch screen technology and handwriting software. Server operating system for handling administrative tasks for severs. New graphical user interface and visual style called Windows Aero – (transparent glass effect theme). First released January 30, 2007.